Hugh Farmer: In early colonial Hong Kong shipwrights used traditional skills to build junks and sampans and later acquired new skills by building western style ships. 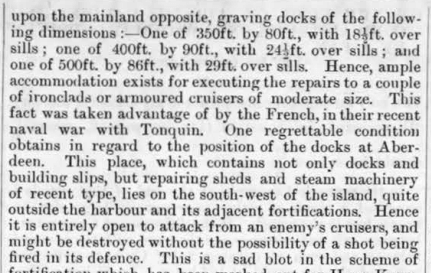 A considerable change came with the construction of dock facilities to build and repair iron steamships. 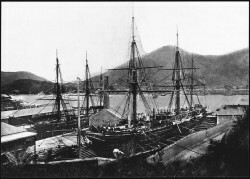 John Lamont completed HK’s first dry dock in Aberdeen in 1860. 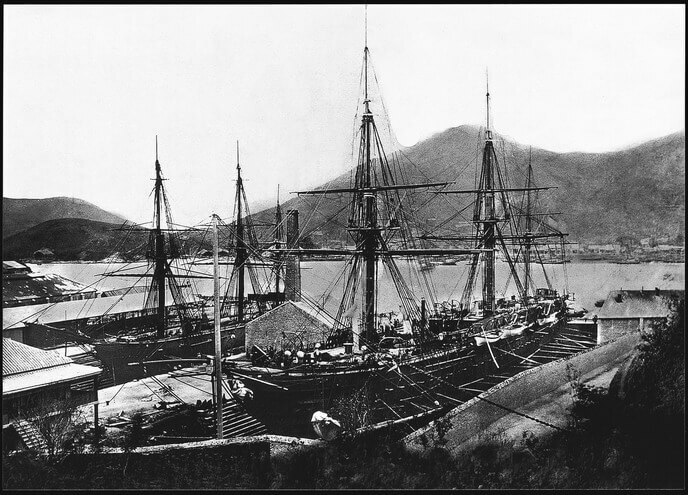 The Hongkong and Whampoa Dock Company’s dry dock started operations at Hunghom in 1868. Cosmopolitan Dock was finished at Tai Kok Tsui in 1876. 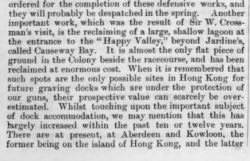 By 1907 the Kowloon Peninsula contained several shipbuilding and repair yards. And in 1910 Butterfield & Swire’s Taikoo Dockyard was completed at Quarry Bay. 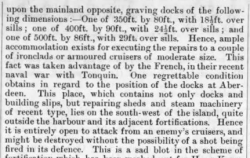 I have highlighted the section dealing with graving docks. These are more commonly known as dry docks which can be drained of water to allow repair of a ship’s hull. 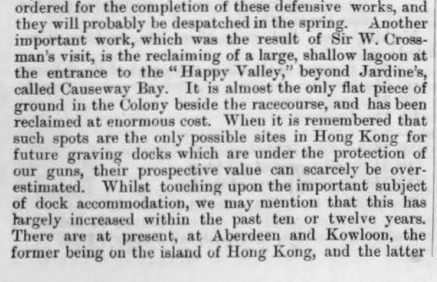 The article mentions that in 1889 these existed in two locations in Aberdeen and much more vaguely in Kowloon. And that there were three of them. Shipbuilding and maintenance is an enormously important topic in Hong Kong’s industrial history. It took place over a period of more than one hundred years. This article was first posted on 11th February 2014.